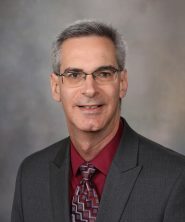 Hi, I’m Ross Reichard, Vice Chair of Quality, for the Department of Laboratory Medicine and Pathology at Mayo Clinic. Did you know that pseudohyperkalemia has many causes, from collection techniques, processing, and even transport? In this month’s hot topic, my colleague, Dr. Brad Karon, will focus on the various preanalytic and analytic causes of pseudohyperkalemia and what phlebotomists can do to prevent it. I hope you enjoy this month’s Hot Topic, and I want to personally thank you for allowing Mayo Clinic the opportunity to be a partner is your patient’s health care. Thank you for the introduction. For those of you who have not attended our phlebotomy conference here in Rochester, the title of my topic today, “Phlebotomy Top Gun,” may seem a little odd, but I hope I’ll be able to explain to you what “Phlebotomy Top Gun” is and what we try to do at our annual phlebotomy conference. Every year at our phlebotomy conference, I present a talk that’s always called “Phlebotomy Top Gun.” The format of “Phlebotomy Top Gun” is a case-based presentation. I solicit from you, the attendees, cases, issues, or questions that you would like to hear about. I present these as case-based scenarios. Using an audience-response voting mechanism, the attendees of the conference vote on what they believe to be the correct action or answer. I then present the collective experience from our practice and any relevant evidence and data that I can find related to the topic or question. At the end of the case, the attendees vote again. For each case, I can see whether I’ve been able to change anyone’s mind on the question at issue by presenting the data and information relevant to the topic. This is an actual case from last year’s “Phlebotomy Top Gun” presentation. In this case, the question was related to a phenomenon, likely familiar to everyone watching this video, called pseudohyperkalemia, or falsely elevated serum or plasma potassium. The attendee described both off-site collection facilities as well as a pneumatic tube system, and as you can see on the question I’ve copied verbatim on this slide, the person wanted direction on how to investigate, beyond the obvious variables, related to phlebotomy and processing and testing. Preventing temperature extremes during transport. Repeating the centrifugation of serum separator tubes upon arrival in the laboratory. Centrifuging whole blood on-site, before transport to the laboratory. At this point, during the live conference, attendees using an audience-response system would vote for the answer they thought was most appropriate or correct, and we would get to see in real-time the distribution of results that our audience felt was correct. What I do next with each case in the “Phlebotomy Top Gun” presentation is go through any data and evidence, either internal or external to the Mayo Clinic practice, that exists. At the end of each case, I then re-poll the audience to see if anybody’s mind has been changed. Regarding causes of pseudohyperkalemia, the Clinical Laboratory and Standards Institute (or CLSI) has a number of relevant recommendations in the guideline document CLSI GP41-ED 7, also called “Collection of Diagnostic Venous Blood Specimens.” The guidelines suggest keeping tourniquet time under one minute, avoiding fist pumping, allowing disinfectant to dry, not pulling back too forcefully when doing syringe draws, and gently and thoroughly inverting blood tubes. When I think about causes of pseudohyperkalemia, I often divide them into categories of hemolysis-related, biologic, analytic, and pre-analytic. Pseudohyperkalemia from in vitro hemolysis is the most common cause of falsely elevated potassium, and it is most often caused by pressure gradients created during draws, often with a syringe or from an indwelling catheter. Inverting tubes too rigorously is another potential cause of in vitro hemolysis, and underfilling of tubes is another cause that is not as well-recognized as some of the others, but it has been shown to greatly increase the odds of hemolysis. Biologic conditions, patient conditions (either congenital, acquired, or drug-induced), also exist that cause potassium to leak from a patient’s red or white blood cells after blood collection, but these are relatively rare compared to other causes of pseudohyperkalemia. Analytic interferences, where a substance in the blood sample interferes with the potassium measurement by direct or indirect electrode, have also been described in association with povidone-iodine and benzalkonium-heparin-bonded catheters, but in our practice, we do not see these interferences often, at least as far as we have been able to determine. Lastly, there is a category of causes that I term non-hemolytic pre-analytical causes of pseudohyperkalemia because they can be observed either with or without the presence of free hemoglobin in the sample. Among these are some causes we will discuss in greater detail, including fist pumping, tourniquet time, transport temperature, and repeat centrifugation. In order to understand how important these variables are to accurate potassium measurement, I will next review two studies examining the relationship of these pre-analytical variables to potassium levels. The first study, published by a UK group in 2008, evaluated the impact of an educational intervention about minimizing fist pumping during blood collection. This group evaluated mean potassium levels and percent of samples with elevated potassium, both before and after the educational intervention. In this study, blood was collected at two satellite facilities, each a short distance from the testing laboratory. The study also looked at the impact of transport temperature on potassium levels. Before the educational intervention to instruct blood collectors to avoid rigorous fist pumping during venipuncture, mean potassium levels were 4.7 mM in the winter months when temperatures were colder, and 4.4 mM in the summer months when temperatures were warmer. After the educational intervention, mean potassium levels were very similar in colder and warmer months. Before the intervention, 13% of samples collected during colder months had elevated potassium concentrations, compared to just 8% of samples collected during warmer months. After the intervention, fewer samples had elevated potassium levels (8% in cooler months and 5% in warmer months), and there was also less difference in the rates between the colder and warmer months. The authors concluded that tourniquet time, transport temperature, and fist pumping all contributed to the effects observed during the study. Fist pumping and increased tourniquet time cause pseudohyperkalemia through multiple mechanisms—hemolysis, release of potassium from muscle, pH changes in the sample, hemoconcentration, and water shift into cells. Cold weather may impact potassium levels in two ways: 1. Colder patients have veins that are harder to find, encouraging more fist pumping and leading to longer tourniquet times, and 2. Exposure of the sample to the cold during transport may cause potassium leak from cells. Thus, fist pumping, cold temperatures, and prolonged tourniquet time interact in a phenomenon that has been referred to as seasonal hyperkalemia. This study showed that an educational intervention to encourage good phlebotomy practice (i.e., avoid fist pumping and also minimize tourniquet time) can partially mitigate seasonal hyperkalemia. The next study I want to mention is also from the UK, and it examined serum potassium concentrations from 87 general practice sites across a large geographic area. This study compared, again, mean potassium levels at general practices that centrifuged samples onsite, compared to practices that sent blood to the laboratory as whole blood. Unlike the previous study where blood collection was in close proximity to the laboratory, sample transport took 8 to 10 hours in this study. Like the previous study, potassium values were compared between the two groups: 1. centrifuged on-site or 2. groups that sent blood as whole blood over several months to account for the effect of cold temperature. Between August and January, as the temperature became cooler, mean potassium concentration increased from 4.3 to 4.8 mM for samples that were being sent in as whole blood. In contrast, samples centrifuged on-site, before transport, showed little difference in mean potassium concentration between the months of August and January. Other issues to consider include use of a pneumatic tube and repeat centrifugation of samples. Pneumatic tubes can be associated with hemolysis and falsely increased potassium levels. These effects are related to the acceleration and deceleration rates in the tube system, the tube type and transport containers, and the path of the tube system (e.g., is it a straight path vs. many turns or having right angles). Each tube system, unfortunately, must be evaluated empirically, then, to determine if its use contributes to sample hemolysis and, thus, falsely elevated potassium or pseudohyperkalemia. For samples in separator tubes that have already been centrifuged, repeat centrifugation is a known cause of falsely elevated potassium. During centrifugation, the gel layer in the tube compresses to allow serum or plasma to pass through. Repeating centrifugation allows the cellular components, highly enriched in potassium, to leak back into the serum or plasma resulting in pseudohyperkalemia. Thus, laboratories should not repeat centrifugation on serum or plasma separator tubes that are already centrifuged. The correct answer than to the polling question I asked initially would be “repeating centrifugation,” as this would be expected to make the problem of pseudohyperkalemia worse, not be a potential solution. Transporting centrifuged tubes upright in a holder is a best practice that can be used to avoid the need to repeat centrifugation. Thank you for listening today and have a wonderful day.